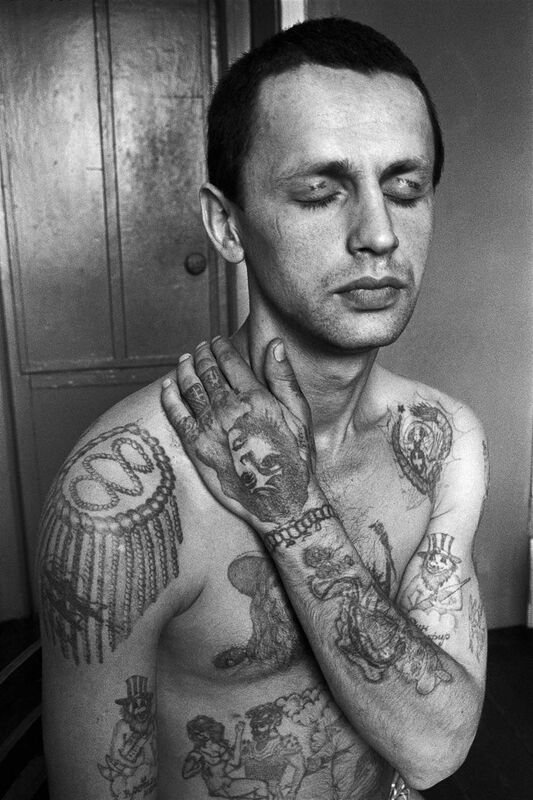 The Russian Criminal Tattoo Encyclopedia collects the drawings of Danzig Baldaev (1925-2005) made over decades as a prison officer and the photos of Sergei Vasiliev. A thrilling document that shows the codes of the Russian criminal world. Danzig Baldaev worked between 1948 and 2000 as a guard in russian prisons, especially in the (in)famous Kresty prison in Leningrad (now St. Petersburg). There he began to draw tattoos that covered the bodies of “The Vor v Zakone” (thieves in law), a caste of gangsters who devote their lives to crime, this dedication is contained on their skins. The photographs, drawings and texts published in this book are part of a collection of more than 3,000 tattoos accumulated over a lifetime by Danzig Baldaev. 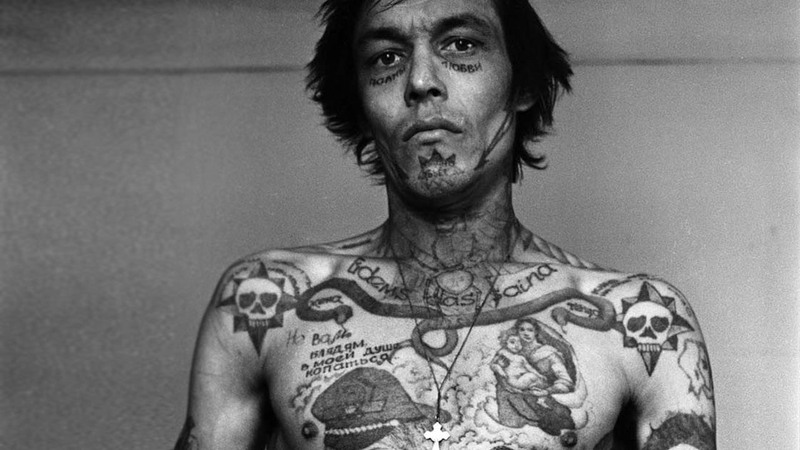 Tattoos were his gateway into a secret world in which he acted as ethnographer, recording the rituals of a closed society. The icons and tribal languages he documented are artful, distasteful, sexually explicit and sometimes just strange, reflecting as they do the lives and traditions of Russian convicts. In 2004, a year before the death of Baldaev, Fuel published the first of three volumes of “The Russian Criminal Tattoo Encyclopedia”, adding to the drawings,images of the photojournalist Sergei Vasiliev confirming the authenticity of Baldaevs drawings and providing evidence of the misery and suffering of the prisoners after their bluster. Aleksandr Solzhenitsyn (author of Gulag Archipelago).